Here is the green hat I promised! I think that I have been a bit too careful with decorating the hats. I tried to be bolder this time, but I still could experiment more. 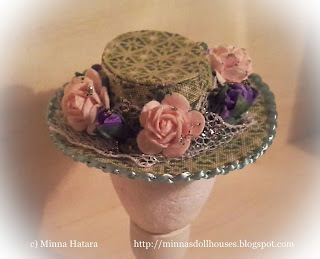 The hat is charming and beautifully done! It is lovely Minna. Love the fabric and the combination of the purple and pink roses. Creo que este es uno de los que mas me gusta. Quizás sea porque me encantan las flores. It's beautiful! 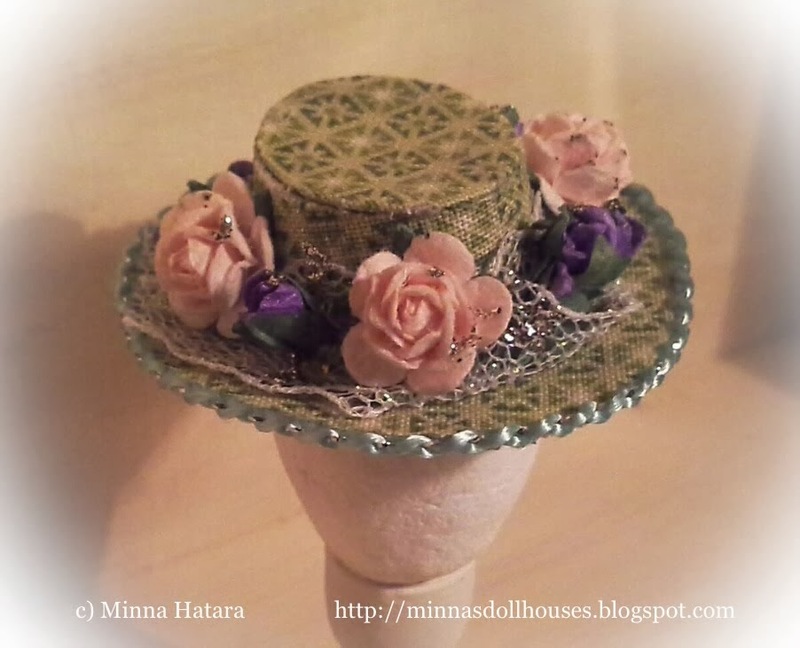 I took a stroll on your blog to see some other hats you made and you are very talented. Love your hats, Mina! Simply lovely and charm. Onpa kaunis! Toivon Sinulle mukavia askarteluhetkiä tänä vuonna.